With the release of a new USDA zone map that lists many places as one zone warmer than they were before, gardeners have felt encouraged to grow crops like peanuts and southern peas that are more typical of warmer areas. There are lots of of techniques and equipment for extending your growing season in cool climates where hot-season crops barely get enough heat and time to ripen before frosts hit. But often choosing the right variety makes the difference between a small just-in-time harvest and bountiful production. Here's our guide to choosing the right varieties, for temperate climate gardeners who want real Southern flavor. Okra: You might think okra is just for gardeners in the deep South, but we have varieties that mature fruit in as little as 50 days. Okra plants run the gamut from two and half foot tall dwarfs to ten foot tall giants: if your summers are short and cool, you should choose short, quick maturing varieties. Growers as far north as Maine have had success with the excellent heirloom dwarf okra Cajun Jewel. You might also try Lee, Jade, and the classic heirloom Clemson Spineless. Peppers: Don't be intimidated by growing peppers! 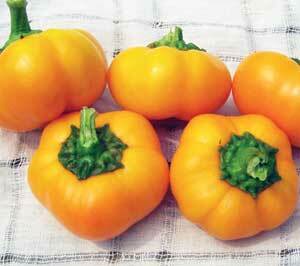 Lots of heirloom peppers come from Eastern Europe, where summers are more mild. You can grow peppers even if you have cool nights and mild summer days. We suggest looking for short-day varieties that originate in cooler regions: Bull Nose is a medium-sized red bell that's ready in just 58 days. Medium-sized, early-maturing bells like Gamba and Doe Hill Golden Bell; wax peppers like Early Hungarian and Feherozon; and frying peppers like Melrose and Marconi can all produce prolific harvests even in cooler summers. 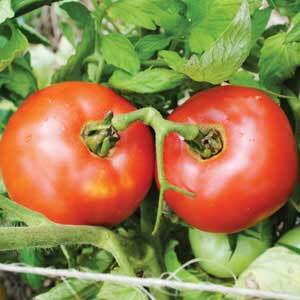 Tomatoes: Generally, cool-climate gardeners are limited to small or medium sized tomatoes, unless you have a greenhouse. Sophie's Choice, Eva Purple Ball, and Abraham Lincoln are all medium sized heirlooms that have just as much flavor as the big slicers. Ground Cherries are a tasty, unusual crop for cooler climate growers who want to expand their nightshade crops. 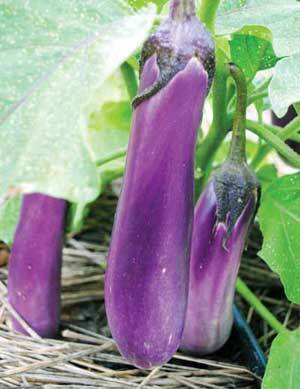 Eggplant: Early Black Egg is a standby for classic dark purple fruits in cooler climates, but we love the sweet mild flavor of lavendar-colored Rosita, and it's only a tiny bit later. Ping Tung Long is earlier than Long Purple and perfect for Chinese-style dishes. Southern Peas: Queen Ann Blackeye Pea is the classic southern pea for gardeners in cooler climates, but if you're looking for something different, we're excited to offer Fast Lady Northern Southern Pea, bred especially for very mild summers in the Pacific Northwest, brought to us by Carol Deppe, plant breeder extraordinaire. Peanuts: Farmers successfully grow peanuts all the way up into the lower reaches of Canada, as far inland as Ontario. One of our growers gets great yields of Tennessee Red Valencia peanuts in Eastern Canada. Watermelon: Not only is Blacktail Mountain watermelon very early, it also has the amazing ability to sweeten up in storage even when harvested a bit underripe. If your climate is truly marginal for watermelon, this is the one to grow. 6–8" drought-resistant Sugar Baby is also a good choice, especially for small gardens, and for yellow-fleshed watermelons Early Moonbeam is the best choice. 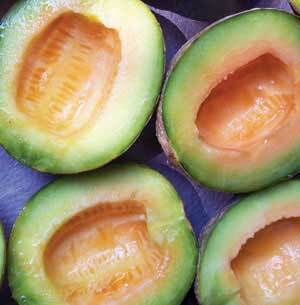 Melons: Super productive Ice Cream Melon (Green Machine) is sweet and early. The melons are quite small - just right for holding a scoop of icecream.